My mom is the best. I can’t wait for mother’s day to tell her how much she has meant to me throughout the years. However, that doesn’t mean I have to be stupid with my money, wasting it on all sorts of silly overpriced flower arrangements and gifts. Just in time for good ol’ mother’s day here are a few tips on showing your matriarch how much you care without breaking the bank. Don’t Buy a Greeting Card – There are just a few things that I absolutely refuse to buy, that go against the very core of my frugal nature, and full price greeting cards are one of them. What a waste of money! The newfangled cards with super sleek designs can cost you $4 or more! So don’t find yourself in a pickle last minute rifling through the cards section of your local grocery store. Do something creative instead. Sometimes its fun to get all middle school with it and create my mom a little craft project card. If your crafting skills are incredibly sub-par there are other options for purchasing your cards. Trader Joe”s has LOVELY cards for just a buck and Dollar Tree sells greeting cards two for a dollar. Extravagance Isn’t Impressive – Just like with the greeting card, you don’t have to spend big money to impress your mom – she loves you no matter what, remember? She’s the one who taught you that the best things in life are free and that it’s the thought that counts, so spend time over money if possible. Take her on a picnic, you cook dinner for a change, enjoy a stroll in the park. Take a few minutes and think about what might mean the most to her and leap boldly in that direction. Getting creative with your time can yield better results than mainstream gift giving. Go local – Flowers are always a winner and they are in abundance this time of year. Pick some up at your local farmers market – I’ve never seen better looking flowers anywhere else. Check out Trader Joe’s lovely cheap floral selection (another win for mom) or pick them yourself (as long as your neighbor doesn’t mind). Just avoid the $40 bouquet online. That is just overkill. 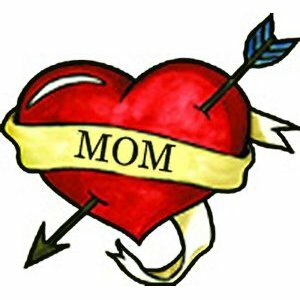 Look for deals – Using Scoutmob or Groupon for a mother’s day gift isn’t tacky, its awesome! This time of year the deal websites (others include Amazon Local, Google Offers, and Living Social) are all about the gifts you can buy for mother’s day. Pick up a cheap massage for her or a little brunch for two. Or, once again, you can go middle school craft style and give her a homemade coupon for a date night whenever she chooses. Because what would your mom want more than just a little more thoughtful time with you? Remember that Mother’s Day is about the woman who gave you a shot at life and hopefully made sure that you didn’t go out into this world completely uncivilized and unskilled. Think about what she would love on her special day (besides Brad Pitt) and make it happen. With just a little thought I’m sure you can come up with something creative, unique, and special for your mommy. Hey Kevin, My whole thought process in this was that “splurging” doesn’t need to factor in to loving your mom well. The best things in life truly are free and spending big bucks on your mom doesn’t really mean nearly as much as being thoughtful and spending time with her. Don’t get me wrong, I bought her something for Mother’s Day that I think she will love, but I didn’t feel the need to purchase something that cost a lot of money just to prove how much I love her. I can do that in many other ways – including handmade cards. a hug and a hand-written note from my grown children would be the best gift I could imagine–keep your ‘presents’ and give me your ‘presence’!! I agree wholeheartedly Elizabeth. Presence ultimately means so much more than presents. Well said. Thanks for the tip Ava. I’ll check it out. Giving your mum a flower on mother’s day is the best idea because these are grown with love. Your tips are helpful in choosing the perfect gift for your mother. Thanks for dropping by and for the kind words.